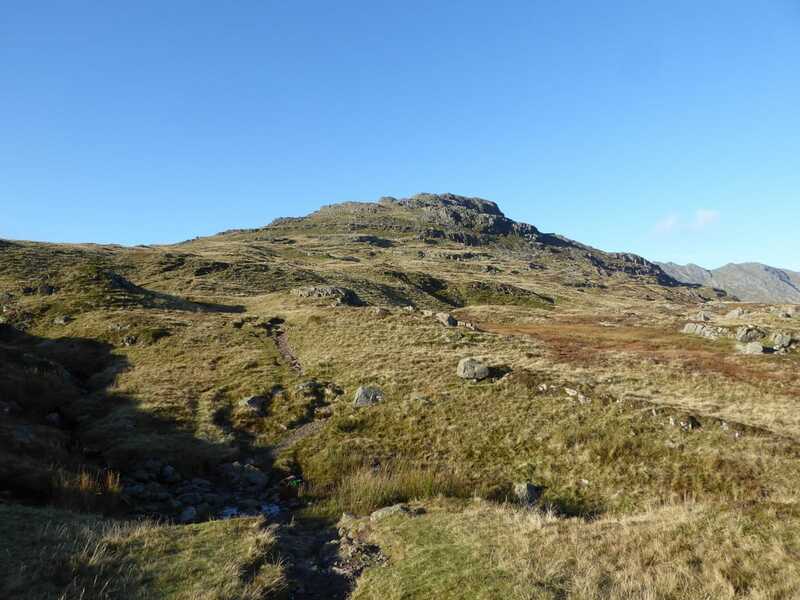 Very good paths apart from the pathless ascent of Cold Pike and an intermittent path from Little Stand to the foot of the first Crinkle on Crinkle Crags. 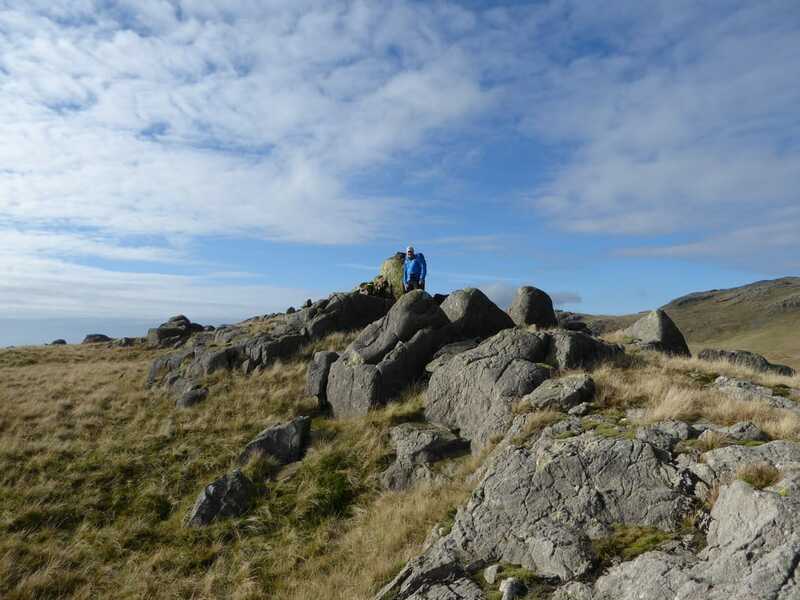 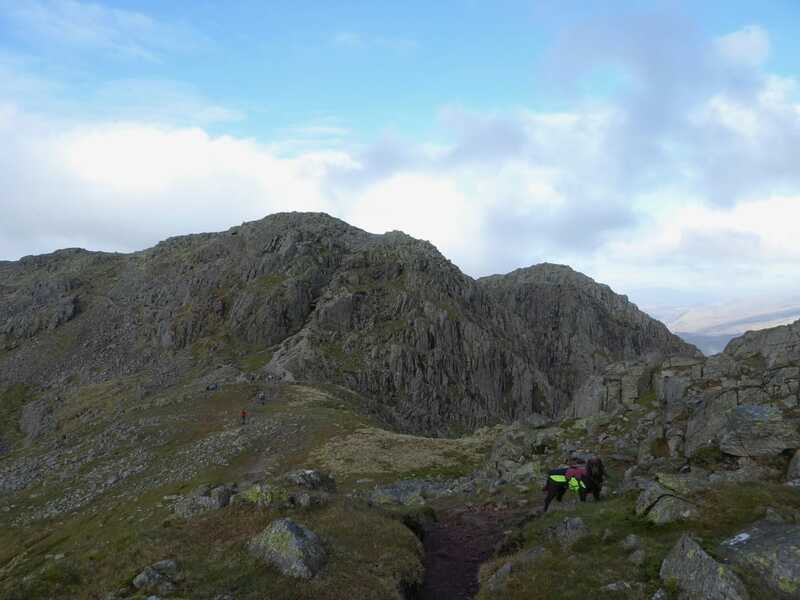 Care should be taken on some of the ascents & descents on Crinkle Crags. 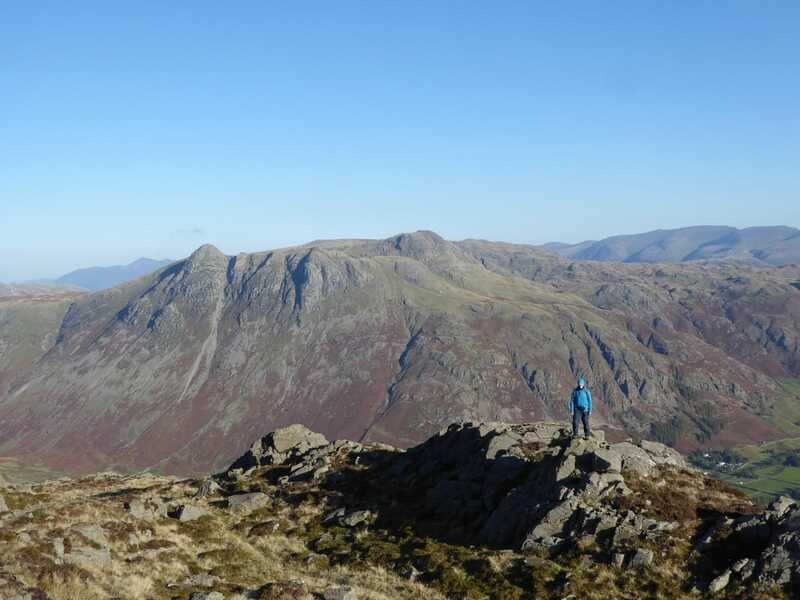 ​Crisp, clear day with excellent visibility. 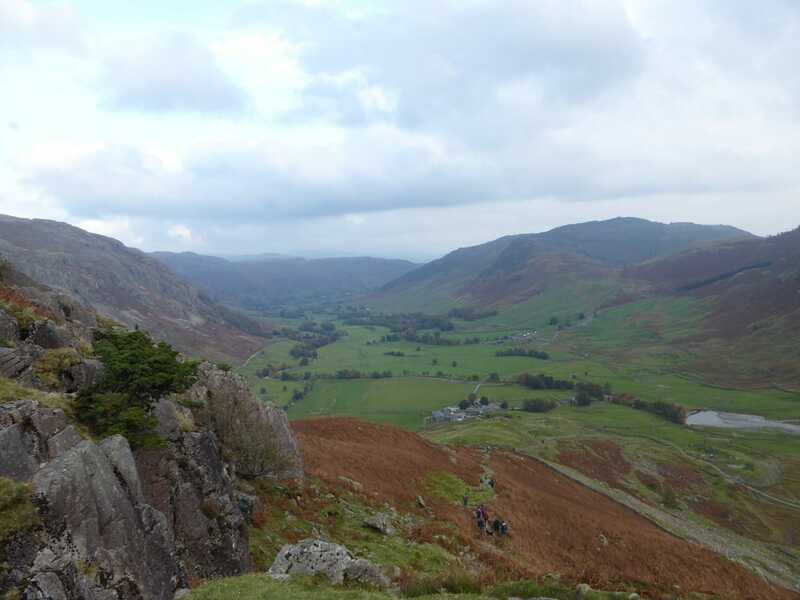 Became overcast on top of Crinkle Crags and remained that way. 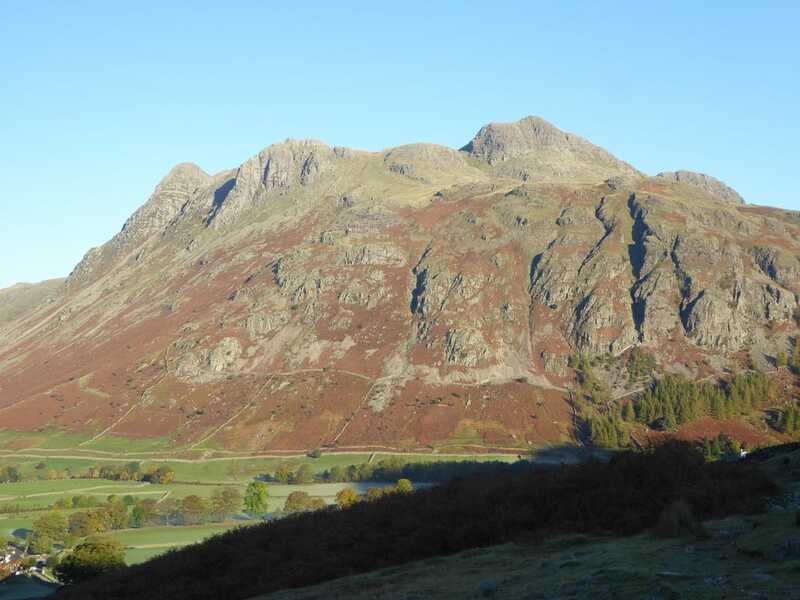 Back in Langdale again which is always good. 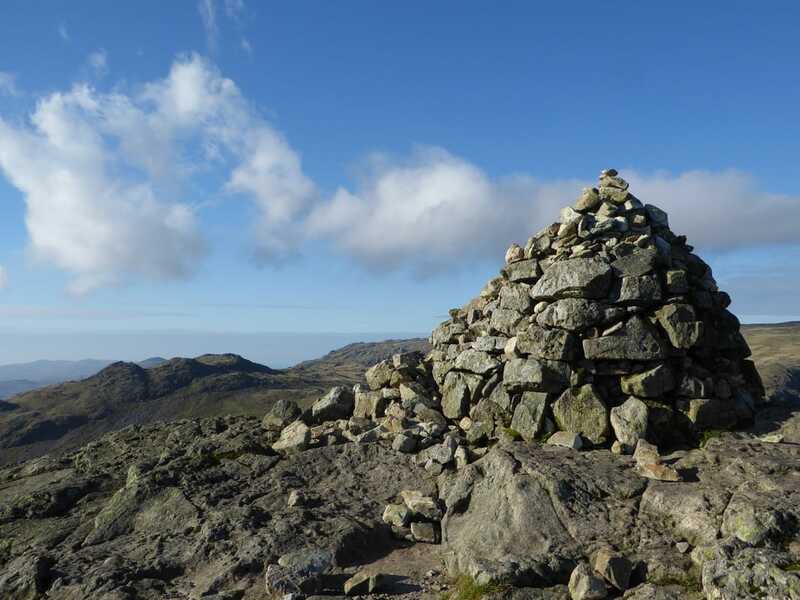 Today we were off up to Pike O'Blisco, the 3 summits on Cold Pike, Little Stand & Crinkle Crags. 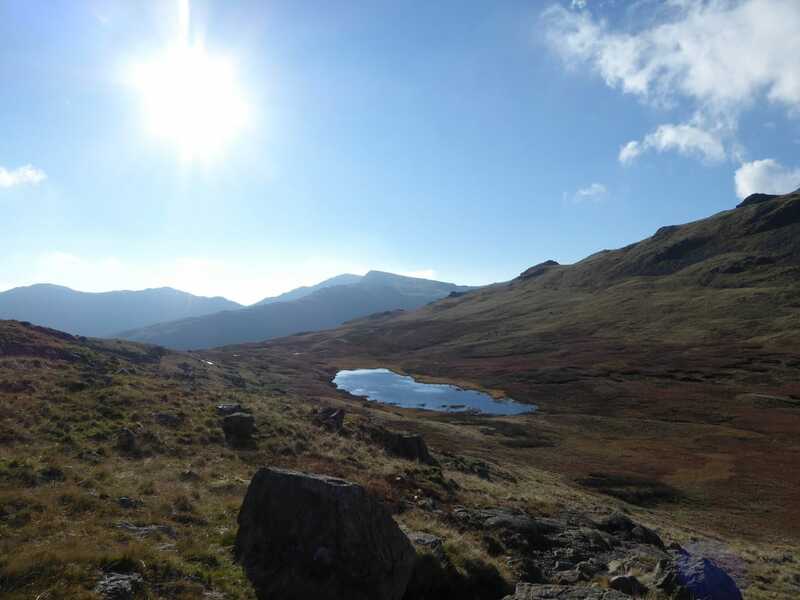 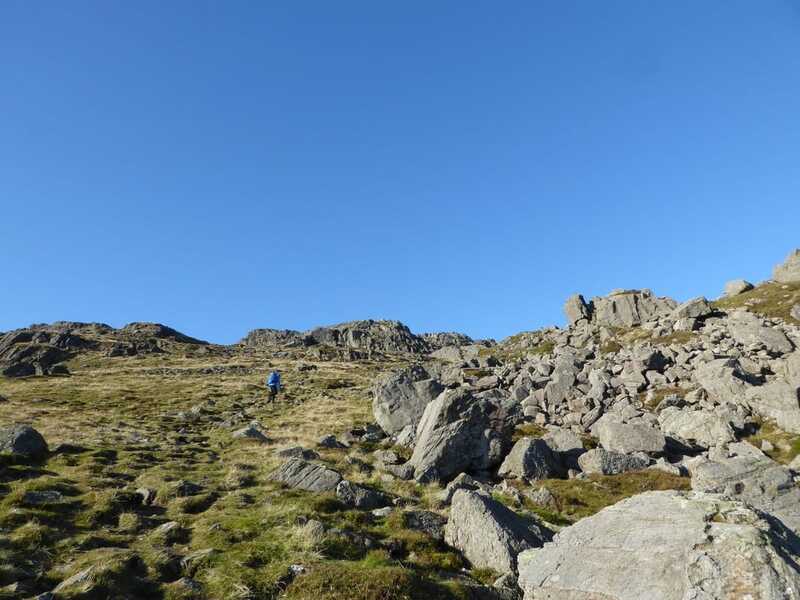 We would also see how we felt when arriving at Three Tarns and possibly nip up and down Bowfell before returning to Langdale via The Band. 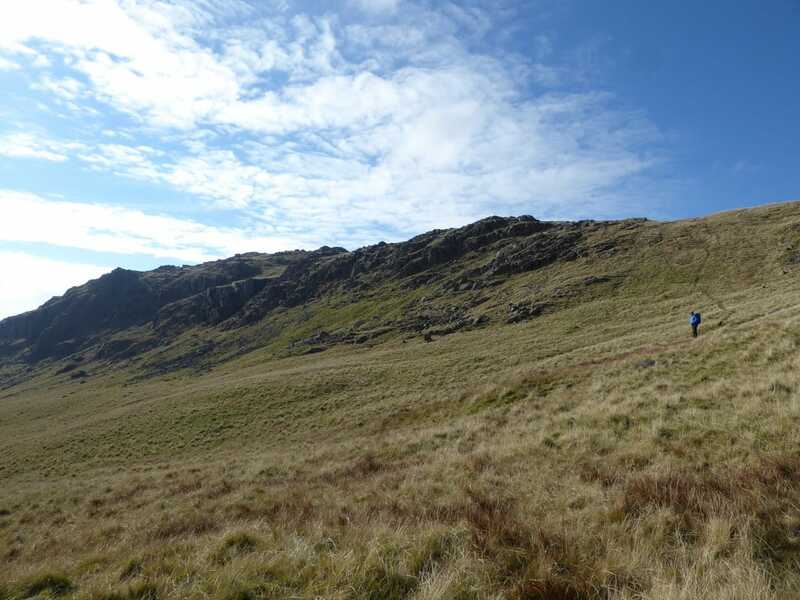 All in all the weather was looking good for the day therefore we paid our £3 at the ODG, got our gear together and headed off. 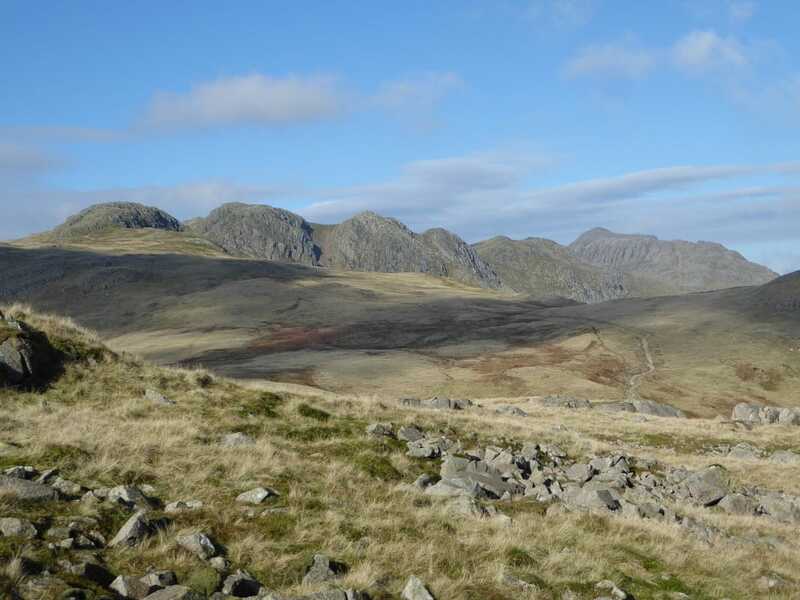 From the ODG we headed up the road in the direction of the Wrynose Pass towards Wall End Farm. 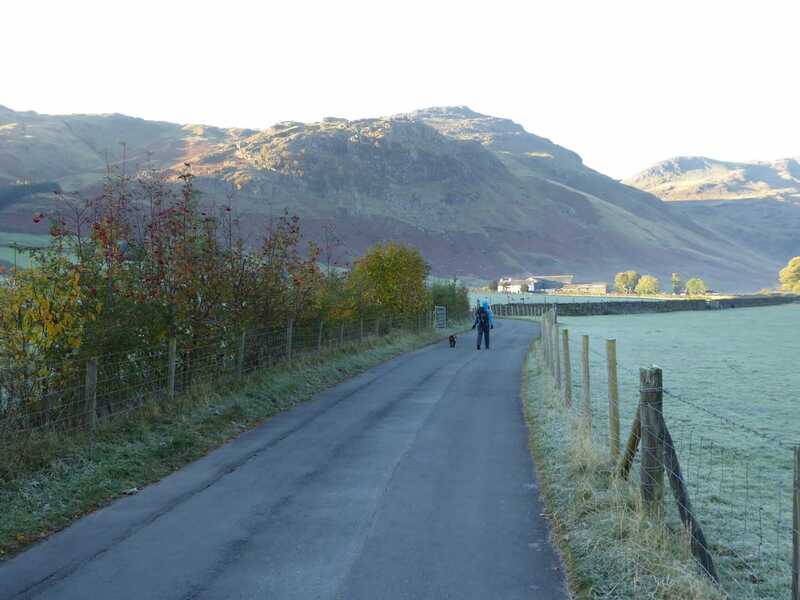 After the farm buildings the road starts to incline quite steeply but soon we left the tarmac on a path that then levelled out. 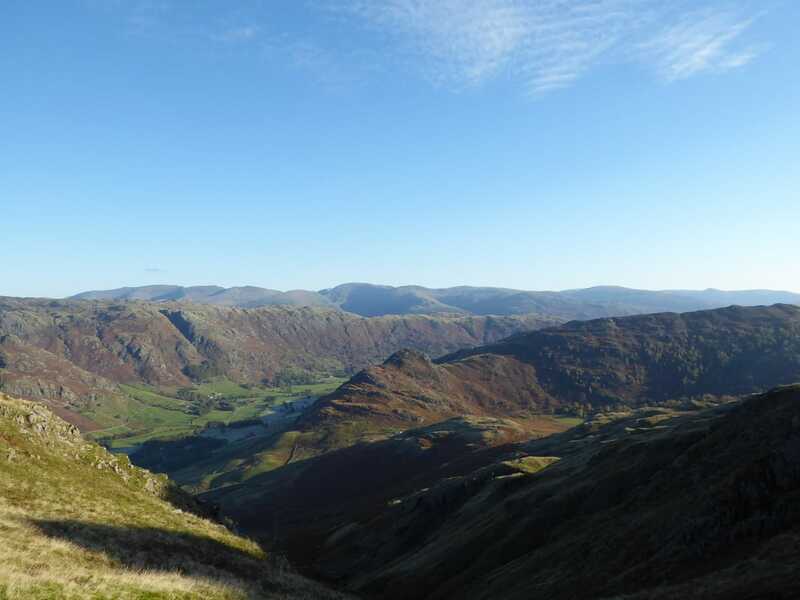 The path follows Redacre Gill and keeps its gentle gradient giving superb views over to The Langdale Pikes. 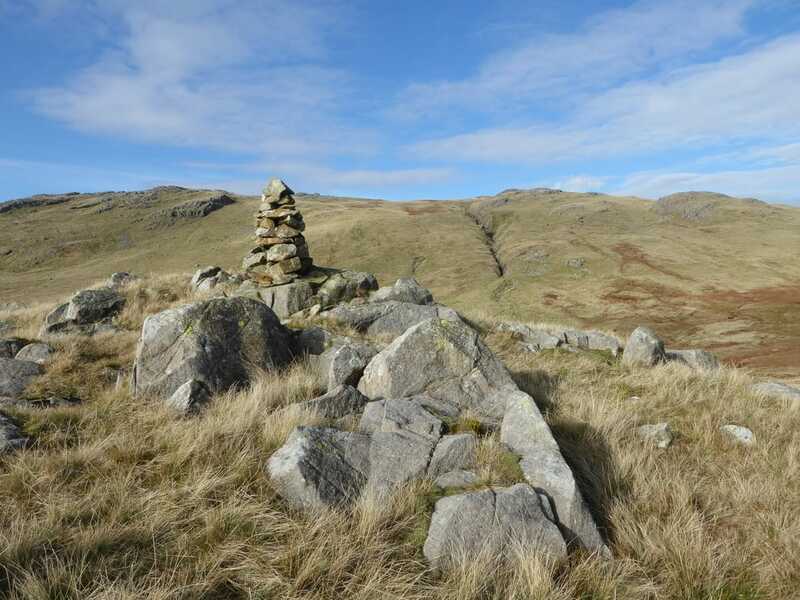 Once we were past Kettle Crag it started to steepen again, changing direction to the west to reach the summit cairn on Pike O'Blisco. 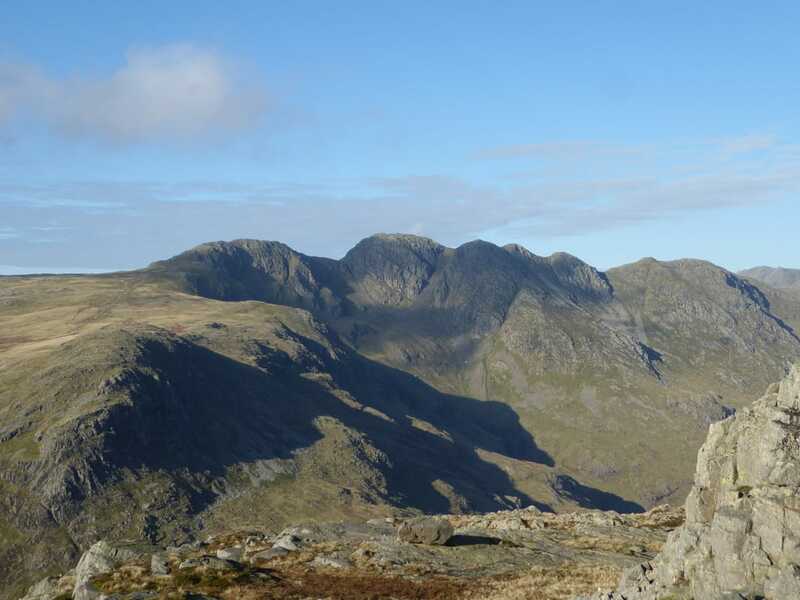 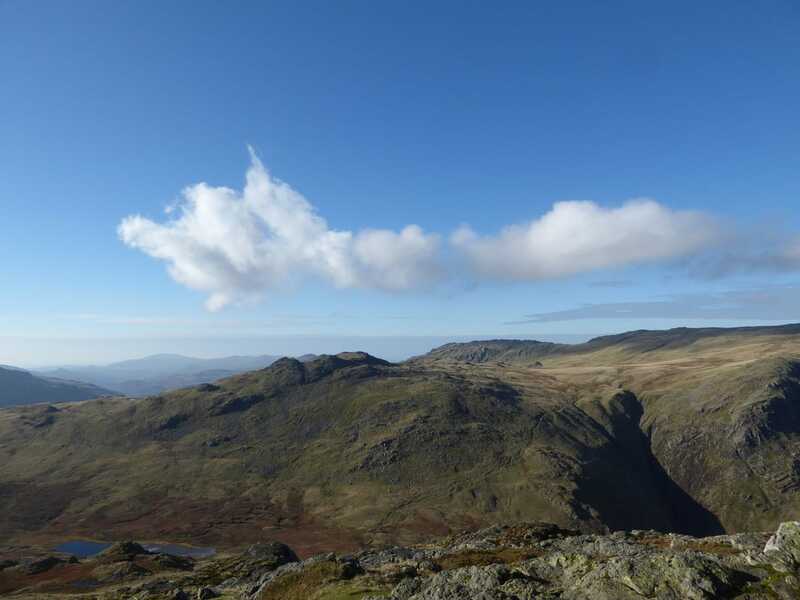 The summit provides amazing views over to Crinkle Crags, Bowfell and Cold Pike and on a day like today far and wide beyond that. 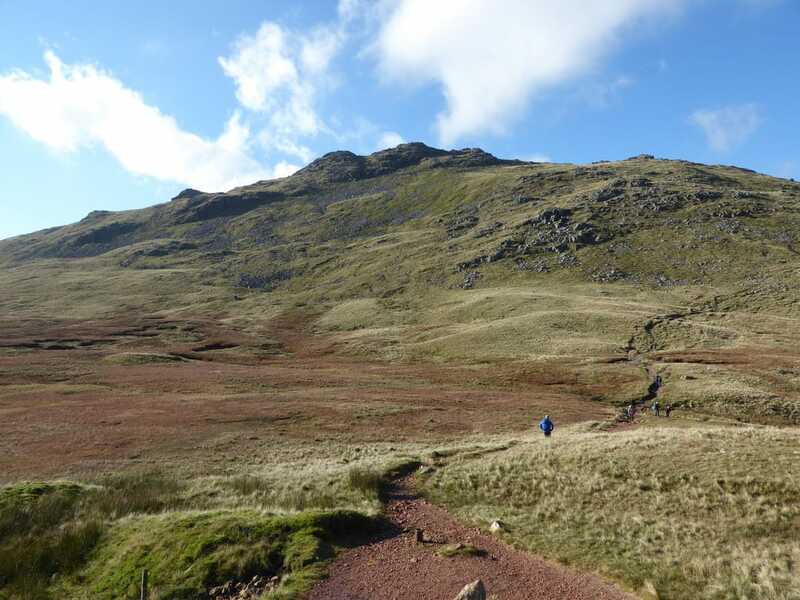 From Pike O'Blisco there was a steep descent to the col near Red Tarn before we ascended steeply, firstly on the Crinkle Crags path then leaving this to make a pathless ascent to the summit of Cold Pike. 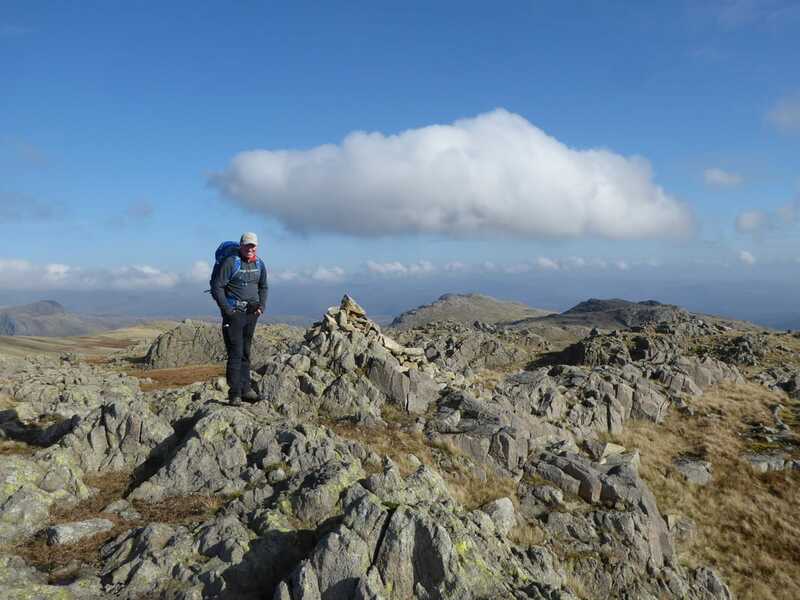 At the summit the continuing excellent visibility afforded us more fantastic views back to Pike O'Blisco and over the fell side to Crinkle Crags. 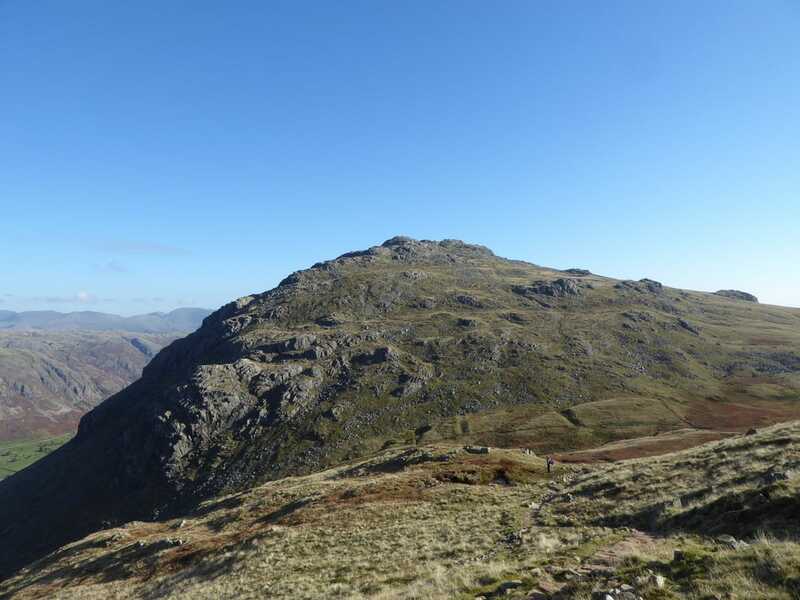 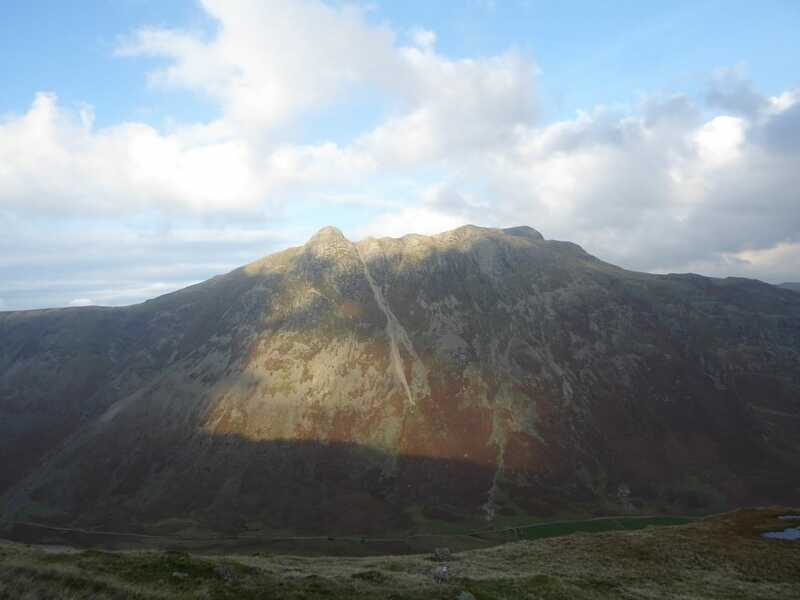 Most people now would probably head back down to rejoin the Crinkle Crags path but we decided to walk over to the two subsidiary summits of Cold Pike - West Top and Far West Top. 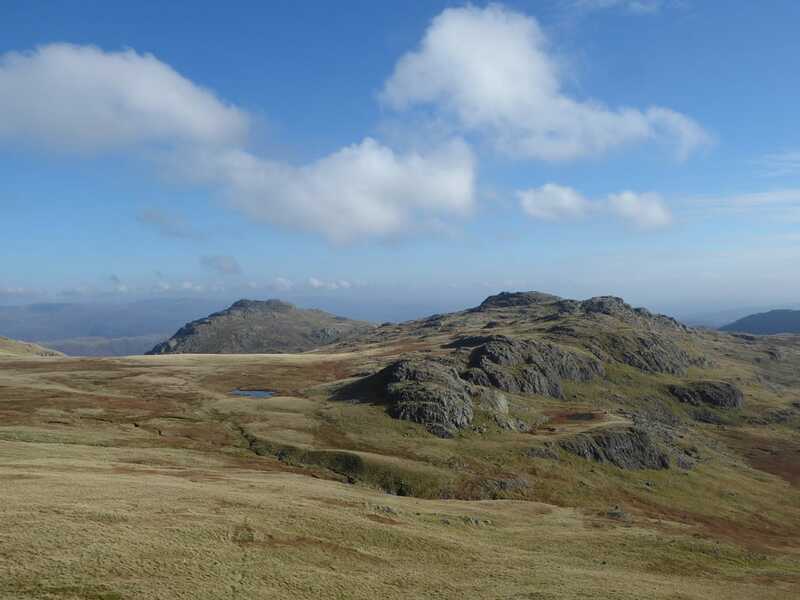 These are two delightful summits (both Nuttalls) and again there are excellent views from both. 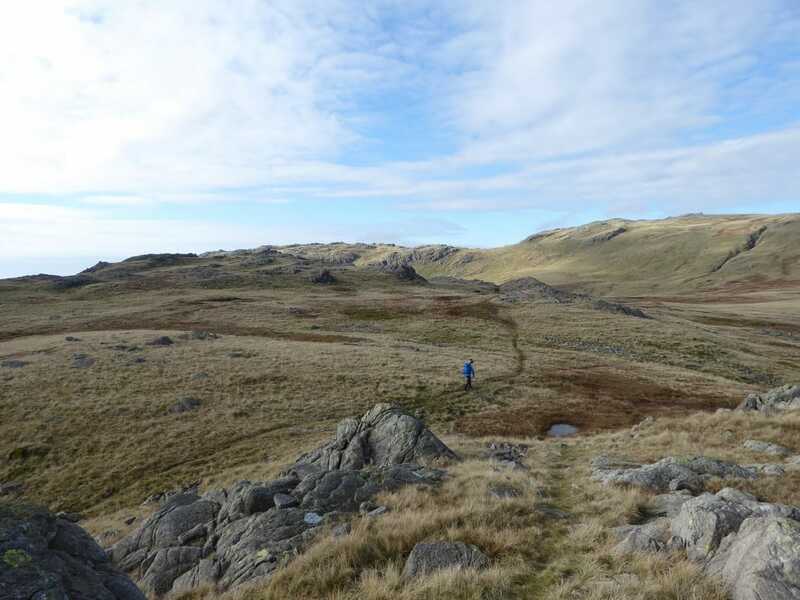 Leaving Far West Top there was now a short transit over the fell side to the foot of Little Stand and after a brief ascent we arrived on the summit. 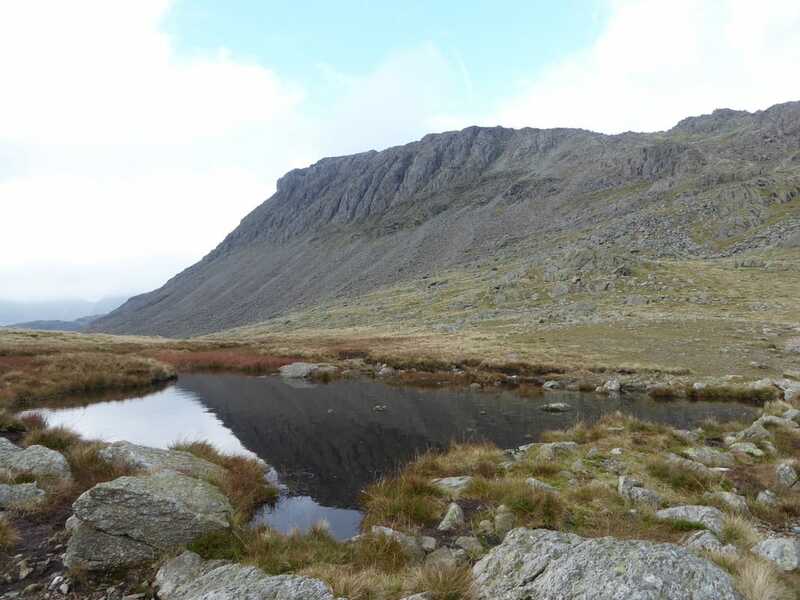 The views over to The Scafell range were exceptional from here and we lingered a while before making our way back off Little Stand via the same route. 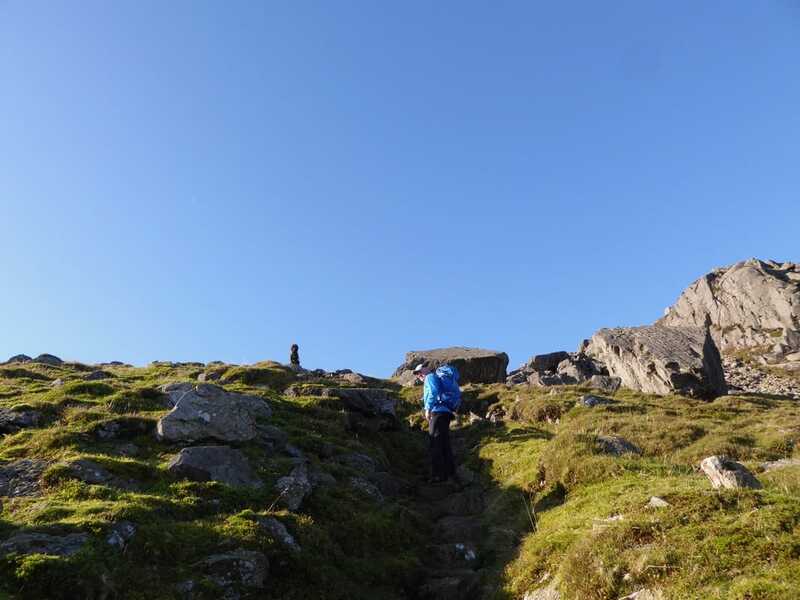 The path from below Little Stand to the foot of the first Crinkle is intermittent and we just made a beeline for the main path coming in from the right. 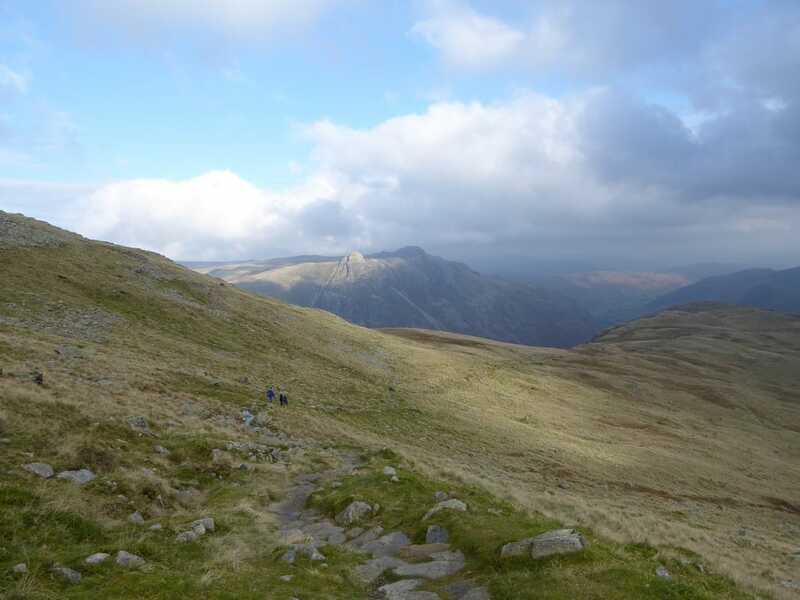 Reaching the path it was now time to make a transit of one of the finest ridge walks in Lakeland. 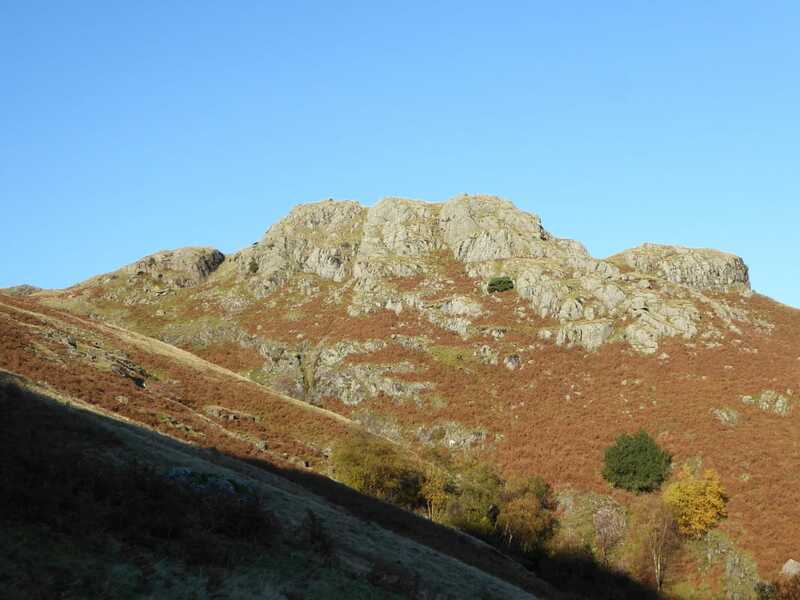 Crinkle Crags are so named because the mountain takes the form of a rugged jumble of five shattered rocky towers on a long ridge. 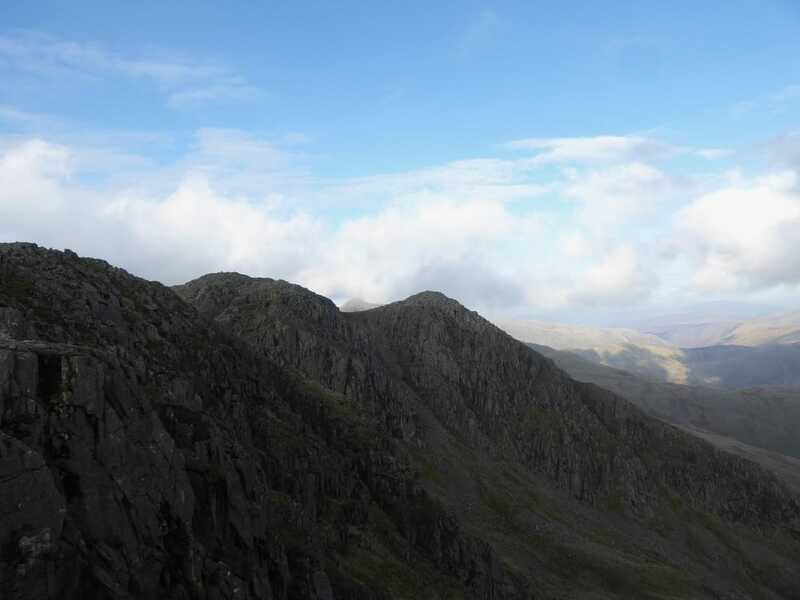 The walk over the Crinkles is a rollercoaster of ups and downs and is an exhilarating journey. 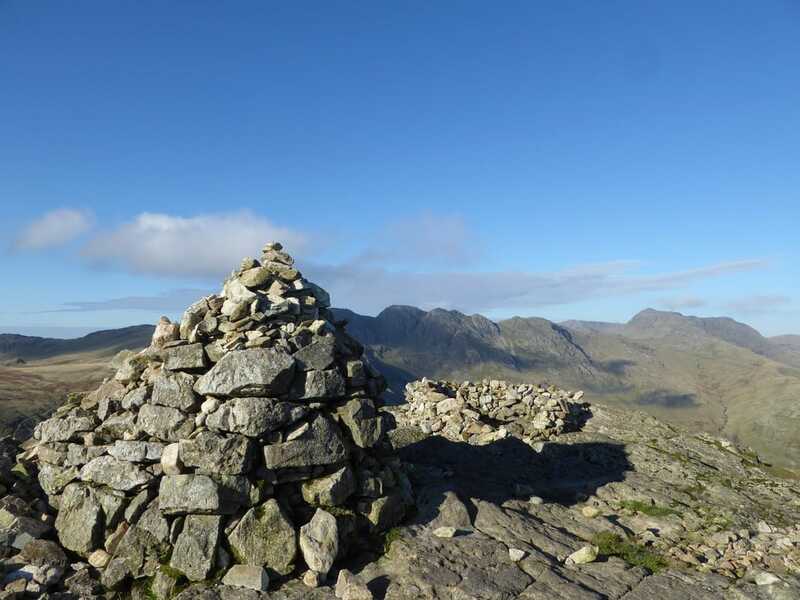 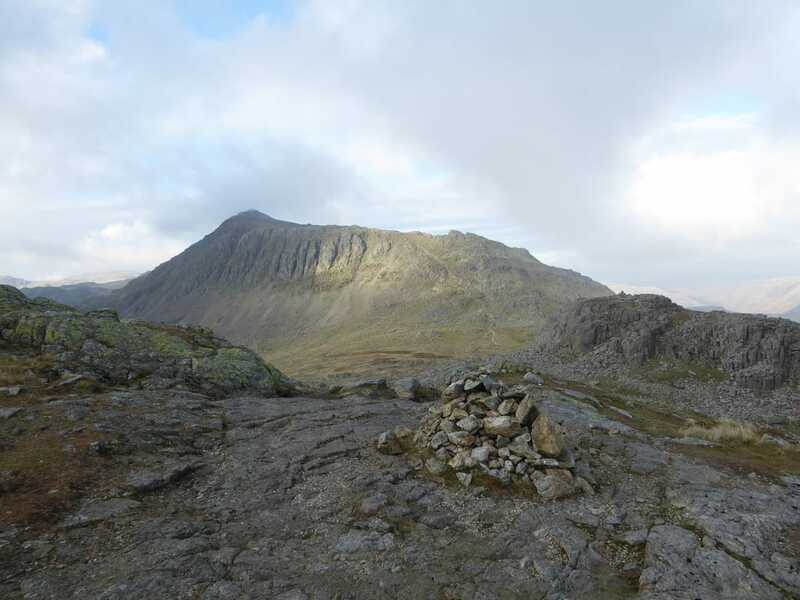 At the foot of the 2nd Crinkle, Long Top is the 'Bad Step'. 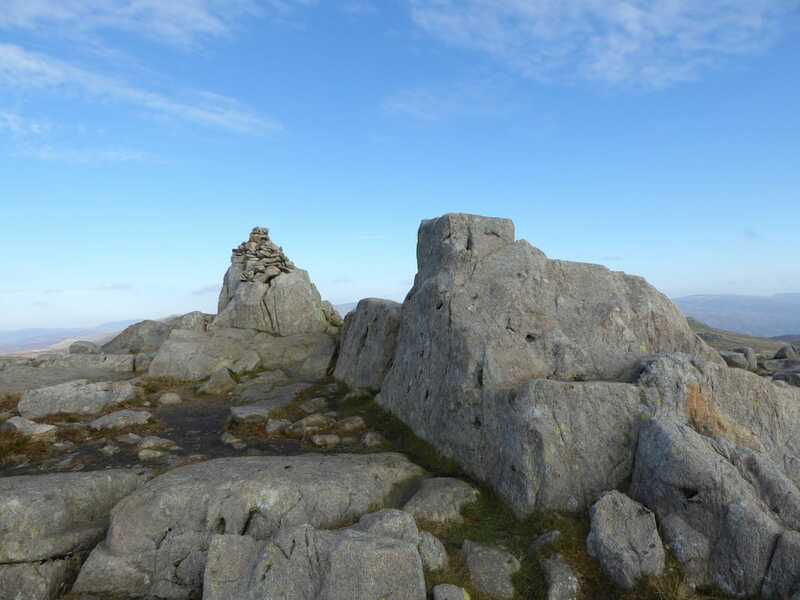 It is a small scramble alongside two large chock stones that block a gully leading to the summit of Long Top. 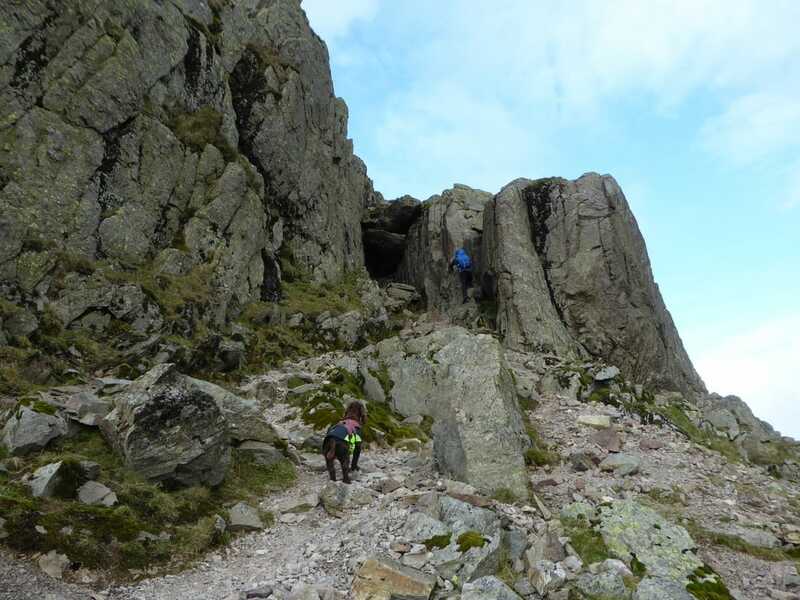 In the right conditions it is not an overly difficult scramble but is very steep (near vertical), however an easier path can be taken to the left and Angie & Fudge took this whilst Dave scrambled the Bad Step. 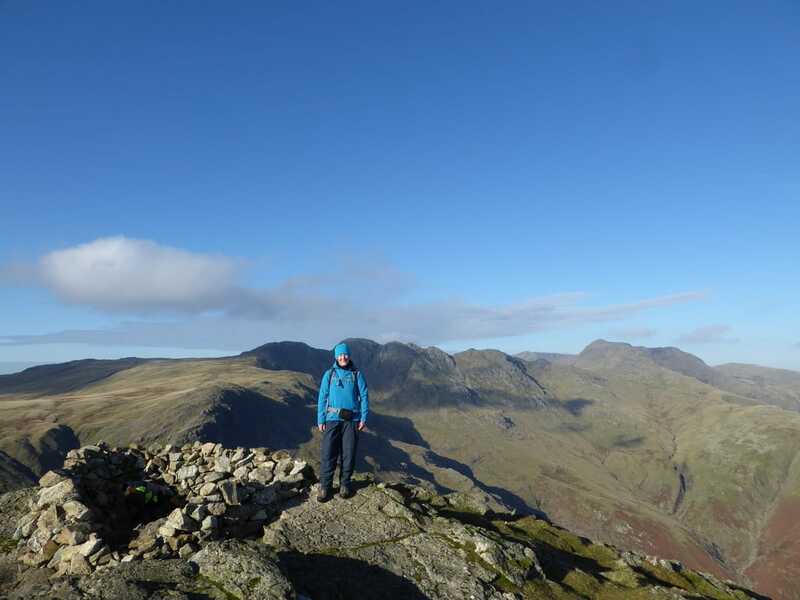 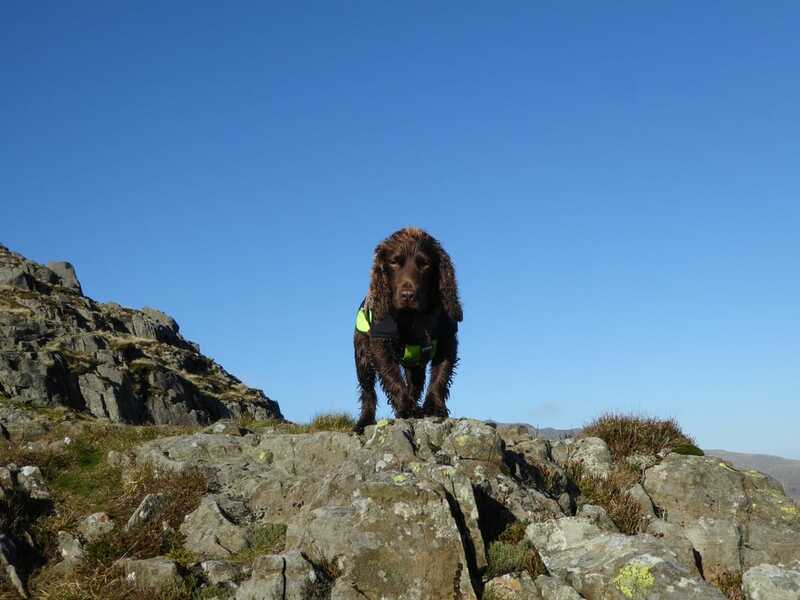 We met up on the summit of Long Top and then made our way over the remaining 3 Crinkles to drop down to Three Tarns. 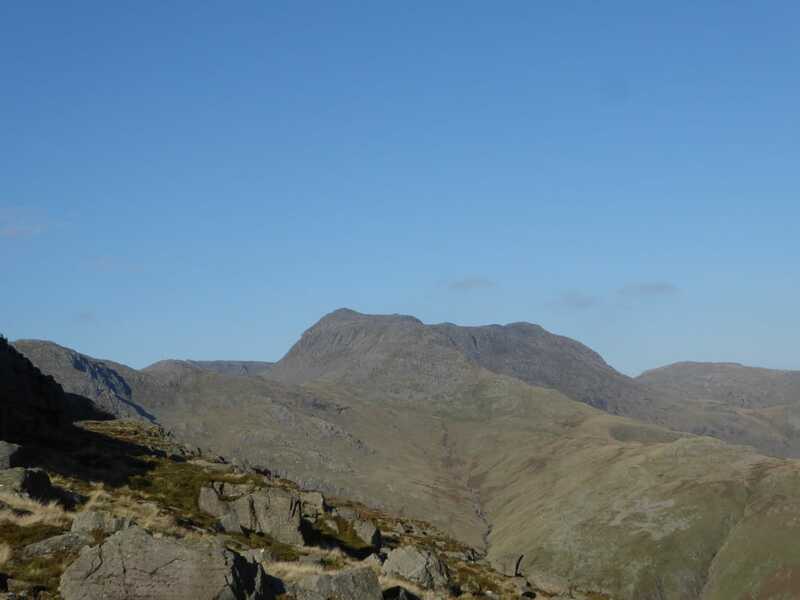 It was decision time now - do we nip up Bowfell or not? 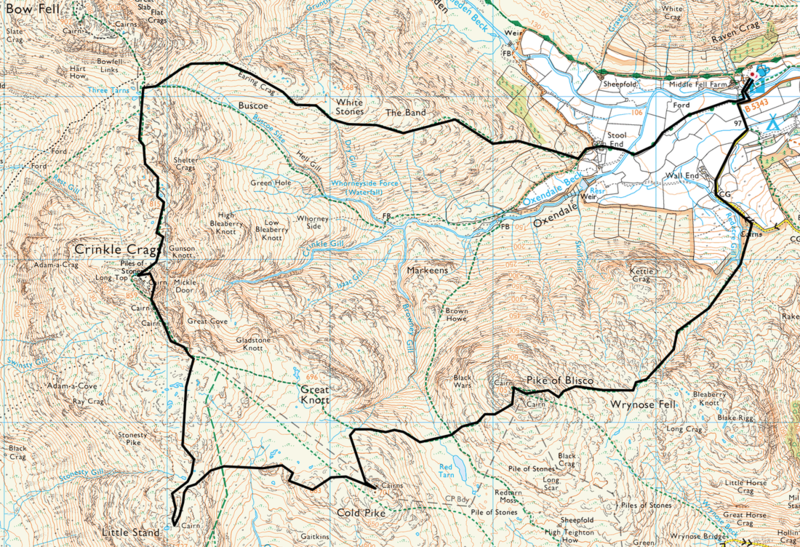 Time was getting on therefore we decided to make our way down The Band from Three Tarns. 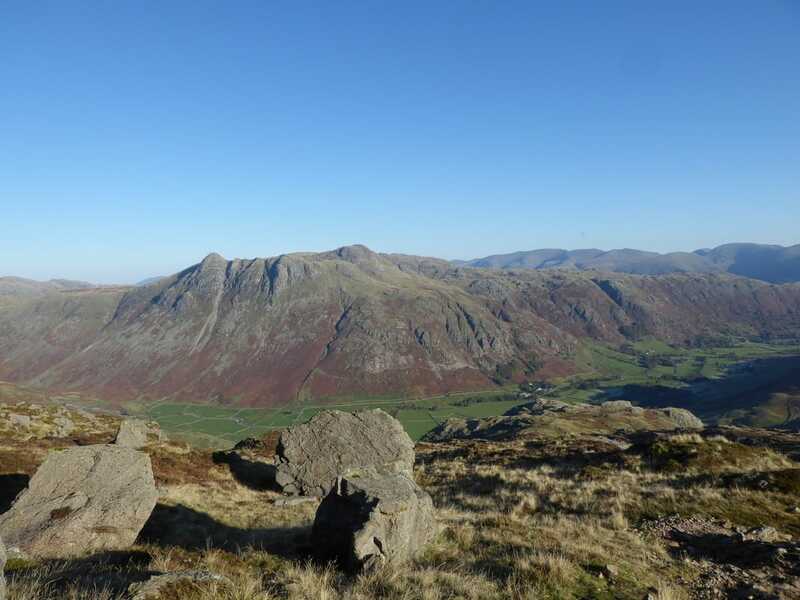 It is a long way back to the ODG but the views over to The Langdale Pikes, Pike O'Blisco and down into Langdale makes this a pleasurable, if not a long & lengthy descent. 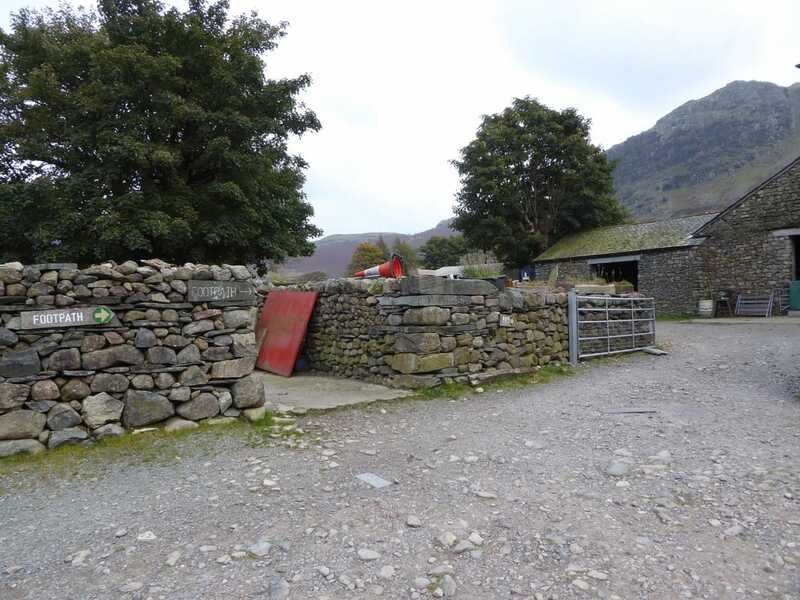 After what seemed like an eternity we finally reached Stool End Farm and made our way along the track to reach the Car Park at the ODG. 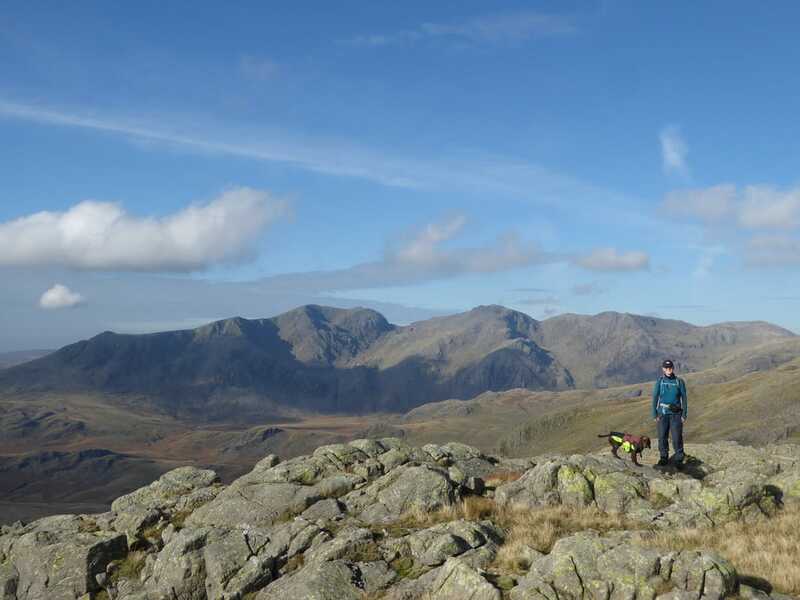 Another fantastic day out in the Langdale Valley. 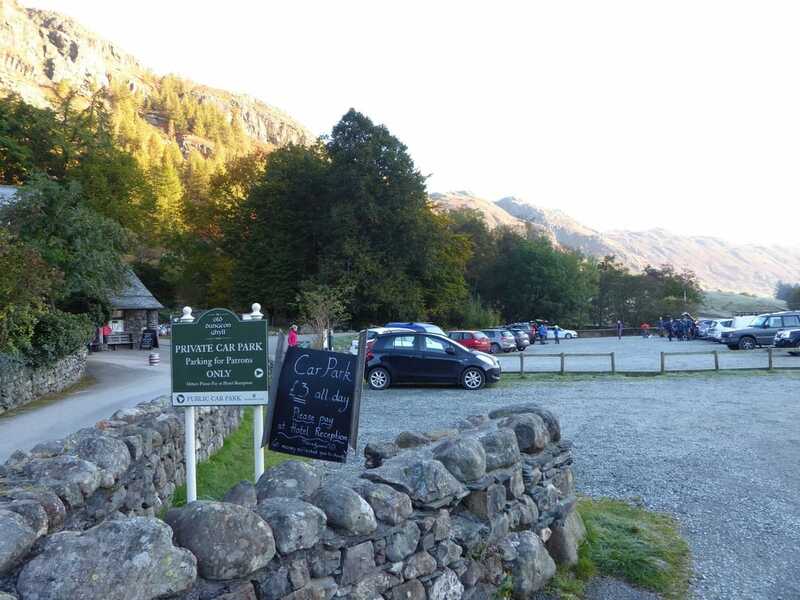 The start of the walk at the Old Dungeon Ghyll Hotel - £3 all day although over the fence the National Trust Car Park charges £7. 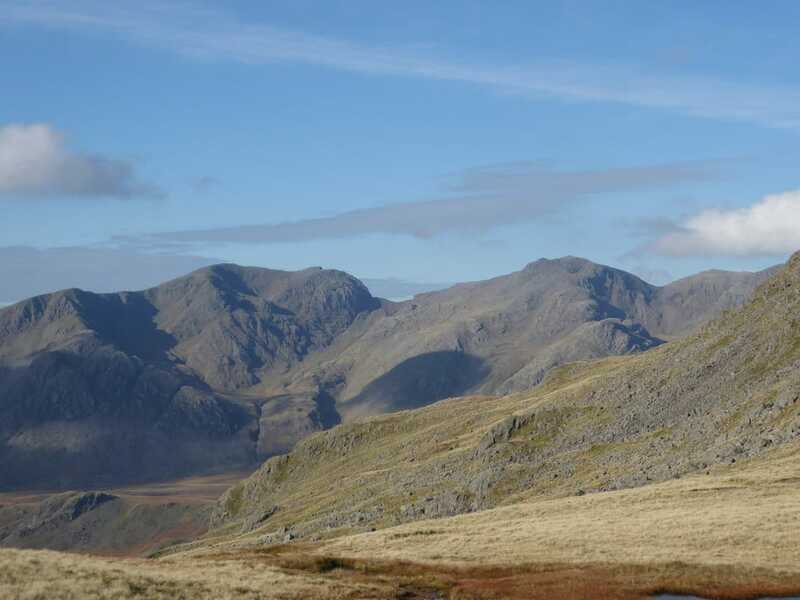 The Eastern Fells dominate the skyline to the rear. 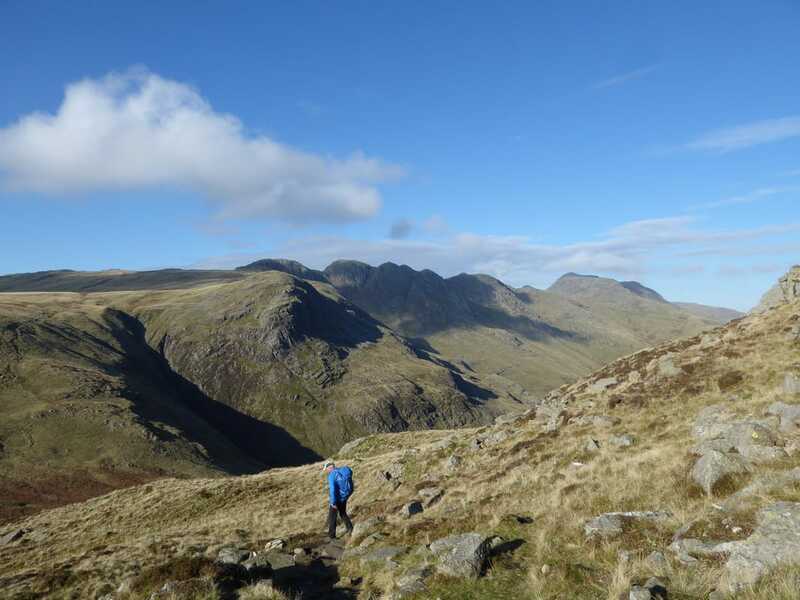 The winding and steep descent from Pike O'Blisco - it is difficult to watch where you are putting your feet with views like this. 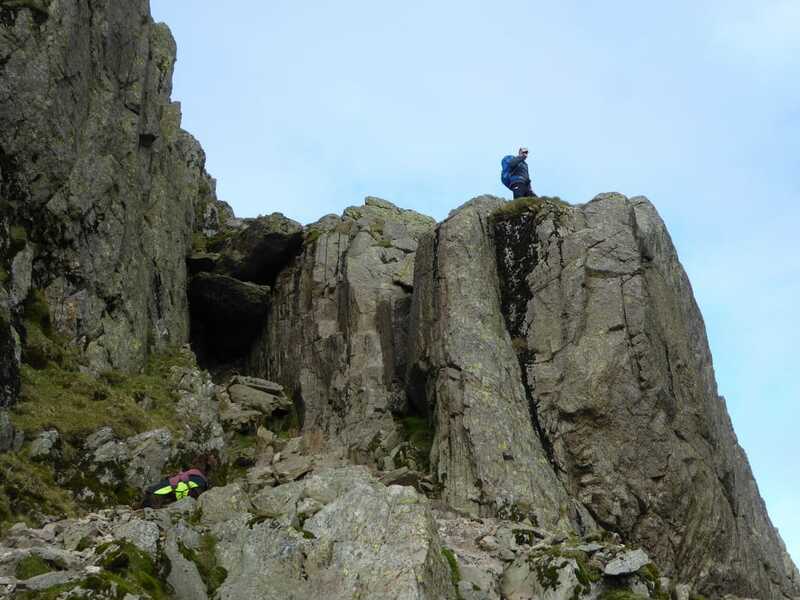 Dave making his ascent of The Bad Step - Fudge is probably wondering how he on earth he is going to get up there - he isn't!